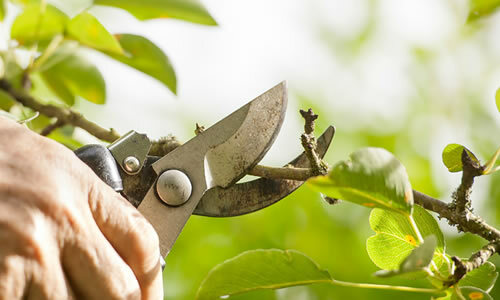 Tree trimming in Salt Lake City, UT is an essential part of being a homeowner with forested area on your property. Not only will this keep your home safe from falling branches and debris, but it will also help your home’s value in terms of aesthetics, as well. So feel free to call our professional arborists and have those trees properly serviced and kept happy and healthy. When it comes to tree trimming, Salt Lake City, UT homes, Arbor Tree Care is the best Salt Lake City tree service option. Call us today at (801) 214-0427. Keep yourself safe by having your trees trimmed regularly. Falling twigs and branches are always a problem, and then in winter entire trees can collapse with enough weight added on. This can be a seriously costly problem for homeowners, especially those who need emergency tree services in Salt Lake City, UT. Keep your trees growing properly. Trimming will help your tree’s crown aerate, thus boosting its ability to grow and repair itself. Furthermore, low hanging branches hinder the tree’s health as well. Keeping the branches parallel to each other will also help reduce harmful clutter. So for Salt Lake City, UT tree trimming call us now. That number again is (801) 214-0427. Keep your trees healthy. Broken, diseased, or dead branches can negatively impact your tree’s ability to grow. And leaving these branches on allows for fungi and disease to spread to the rest of the poor tree. Even the occasional live branch can hinder the sunlight that would otherwise be headed for the crown of your tree. Tree trimming in Salt Lake City, UT is needed in all these situations, not just for looks, but for everyone’s health, both you and your trees.